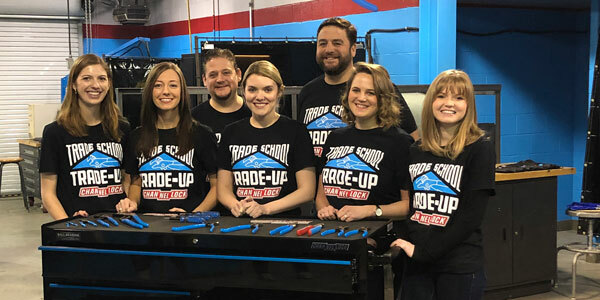 Channellock Inc. recently awarded Worcester Tech High School of Newark, Maryland, a welding room makeover as the winner of the first annual Channellock Trade School Trade Up Competition. In addition to the welding room makeover, Worcester Tech High School’s welding department also received a $5,000 cash prize and Channellock tools. As part of the makeover, the formerly bare welding room at Worcester Tech was painted a bold Channellock Blue with a red stripe across the walls. 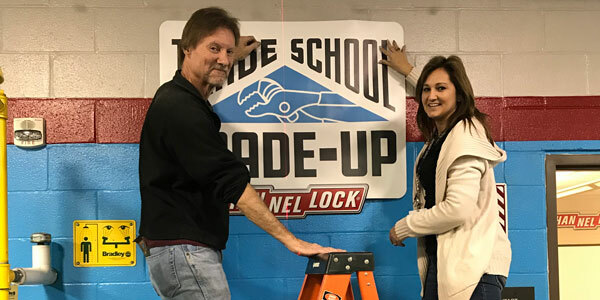 Additionally, large Channellock-branded fatheads were added to the walls and a new Channellock toolbox and hundreds of brand-new tools were placed in the classroom. The students each received new welding jackets, gloves and Channellock branded shirts embroidered with their names and school logo. Jon and Ryan DeArment, fifth generation Channellock Inc. family owners and operators of the company attended the makeover reveal. 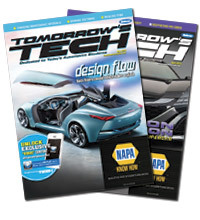 The Channellock Trade School Trade Up Competition was designed to promote and encourage career and technical education in the U.S. During the competition, Channellock asked students in plumbing, electrical, welding and automotive trades to develop a video to showcase their passion for their respective trade and a passion for the brand. 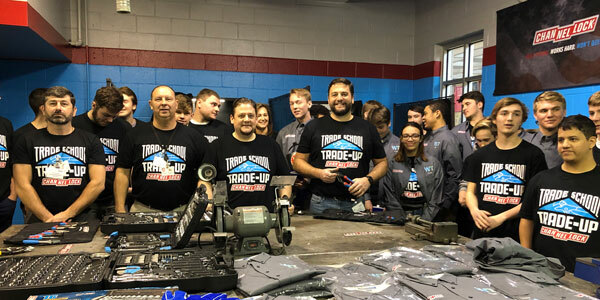 Channellock plans to continue the Trade School Trade Up Competition in the future and will announce more information about the program at a later date.